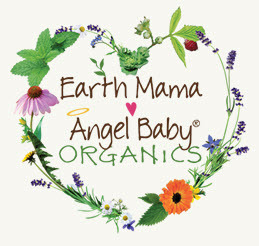 Earth Mama Angel Baby Mama Bottom Balm is not just for mamas, but for anyone with bottom problems. 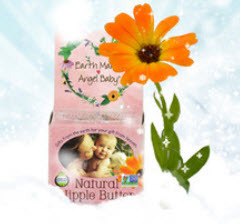 Hospital recommended Earth Mama Angel Baby Mama Bottom Balm soothes and cools discomfort to help ease episiotomy, perineal tears, hemorrhoids and more. It is made with organic herbs, like St. Johns Wort, Yarrow, Witch Hazel and Calendula, and oils and is certified organic by Oregon Tilth. Pregnancy can take a toll on mama parts, so make sure to treat your healing body with lots of extra care. Are all Earth Mama products really organic? Many products claim to be natural or organic, but how can you be sure? At Earth Mama, they disclose all ingredients on each product page so you know exactly what is in each product. You can also check their labels for the organic certifier (Oregon Tilth or OTCO) for extra assurance. But what does "organic" really mean? It means that the plant was grown with respect for the earth, the soil, the farmer and you, the consumer. Certified organic farms adhere to strict standards, growing crops without the use of harmful pesticides or the usual dose of toxic chemical fertilizers. Manufacturers of certified organic products have to undertake a monumental process that assures consumers of the purity of each ingredient, process and final product, through every stage of manufacture. Why aren't ALL Earth Mama ingredients organic? Simply put, some ingredients just don't exist (like water or salt) in an organic form, and some ingredients are not available certified organic. Why are some Earth Mama products Non-GMO Verified? Mamas want to know exactly what’s in the food and products they buy. 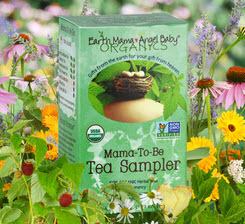 Earth Mama supports that completely, so they’ve sent products to be third party verified for GMOs. They do this to assure consumers, even though they are confident that their products are GMO-free because if it's certified organic you know you are avoiding GMOs: "The USDA National Organic Standards prohibit the use of GMOs in the all label categories ("100% organic", "organic", and "made with organic ingredients")." Earth Mama knows it's confusing, so a growing list of their certified organic products carry the Non-GMO Product Verified label too, for extra assurance. Do you use artificial fragrance, SLS, parabens, or synthetic preservatives? No, and they never have. Should I be worried about using that stuff? There are a lot of concerns about some of the ingredients commonly used in personal care products. Earth Mama never wants you to have to worry about those things, so they worked very hard to formulate the safest products for mamas and babies. All Earth Mama products are free from toxins and any worrisome ingredients, like artificial preservatives, fragrance, surfactants, emulsifiers, sulfates, parabens, antibacterial chemicals, nut oils and lanolin too. Wait, lanolin? What’s wrong with that? Some mamas have concerns about wool allergies and pesticide exposure with lanolin, and Earth Mama strives to make sure their products are as worry-free as possible. I don’t want to use triclosan, but does organic castile soap kill germs? If you don't use synthetic preservatives, what do you use to preserve your products to make sure they are safe and free of bacteria and mold? Earth Mama’s salves and oils do not contain water so they don't need a preservative to keep them fresh and free from bacteria and mold. Lotions, on the other hand (or knee, or elbow), are made by emulsifying (blending) oils and water. And because of their rich, organic and natural ingredients, they can become a perfect medium for nasty bacteria or mold. To combat that, Earth Mama’s 100% organic preservative system is a certified organic alcohol extract of healing and moisturizing organic herbs. Beneficial to you, and safely preserved too. Where is the expiration date on Earth Mama products? There are two code systems in use. One is a code that is their sell by/best by date as well as their batch and lot code. You will find a printed number that looks like this: 201709. In that example, 2017 is the year and 09, September is the month by when the product is guaranteed to be at its best. The other is a simple code that lists the date by which the product is guaranteed to be at its best, like this: best by MAR1018. I have an expired product - will it hurt me or my baby? The best by date on all of their products is a freshness guide for their resellers and customers, but this isn't an expiration date. To be sure of the quality of their products, they keep a sample from each batch of each product made. Some products in this sample inventory are over five years old and are still just fine. That said, you should always use your own best judgment, if it smells "off," don't use it. You can extend the life of oils and salves by making certain they stay cool and out of direct sunlight. I need to know if Earth Mama products will irritate my or my baby's allergies. You are the best judge of what is safe for you and your baby. You know your body best. Please look at the ingredients lists to see if any of your known allergens are in their products. If you have specific questions or concerns about product safety, allergies or ingredients, it is always best to consult with your midwife or naturopathic doctor or another trusted healthcare professional who is knowledgeable about the use of herbs during pregnancy and when breastfeeding a baby. Apply 2-3 times a day. Store in the refrigerator for extra cooling comfort.